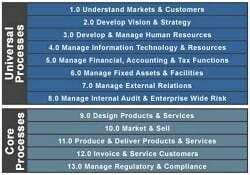 The Process Classification Scheme (PCS) is a framework that helps organize information about a company, according to relevant business and/or industry processes, and defines the individual functions of a business that should take place at the strategic, operational and tactical levels. The purposes of the audit plan are, first, to contribute to the effectiveness of the audit and, second, to contribute to the audit efficiency. This memorandum should be completed and approved as part of the initial audit planning process. This memo documents an audit approach to evaluating the adequacy of the design of new controls implemented or planned to be implemented and the effectiveness of any existing controls that, based on sample testing, have consistently been in operation during the audit sample period. 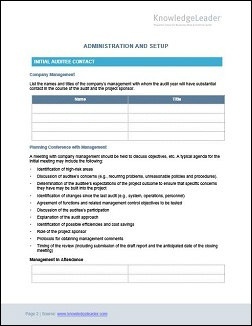 This audit report sample provides an opinion based on an annual assessment of the adequacy of a company’s systems of internal controls. This job description provides the purpose, overall responsibilities, and selection criteria for the position of director of the project management office.